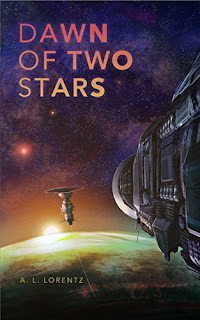 Don't miss out on this science fiction ebook deal! A pristine planet near Alpha Centauri offers an escape for Earth’s elite from the damage they’ve done. But running from your problems never works. Even at light speed. Young Adam Proctor has dreamed of leaving the Earth too, it runs in the family. Searching for answers behind his mother’s death as an astronaut and his own place in space he charts a path to the prestigious Astronaut Academy run by the mysterious Arseo Chapman. Graduation earns Adam a ticket to Mars for a grueling training regimen in preparation for Arseo’s secret interplanetary mission. Once there, Adam meets his fiercest competition: a bright and brave woman named Dawn, who may hold the answers to Adam’s questions about his family, but might also undo his quest to see the stars. When the plan to leave the solar system is revealed, will either astronaut be on the ship? And what are the consequences for those left behind? Light years away, the big ship’s passengers find trouble in paradise. When an earlier scouting mission is discovered to have gone AWOL for a new home deep in the alien jungle, alliances are tested and lives are lost in the ensuing struggle for survival.